This place is one of the postal museums in the world that has a really huge amount of stamp collection from all over the world, even from a country or place. You can see many collections of things used by postal service from the era of Dutch East Indies until the independence of Indonesia. You can know the pioneers of Postal Service in Indonesia. The air is cold and cosy because of the location of this museum in the basement of Post Office of Indonesia Headquarters. The place is easily reached and adjacent to Taman Lancia and Museum of Geology. Add accommodation and hotels in Bandung that suit your budget including the most recommended ones like Meize Hotel Bandung, Utc Bandung and Hotel California Bandung. If you want to add the visit to Museum Pos Indonesia in your trip, you can choose from the variety of Bandung vacation packages that can be designed to suit your preferences. These packages also cover your major concern of how to reach Bandung. One of the best museum in Bandung or maybe Indonesia also. 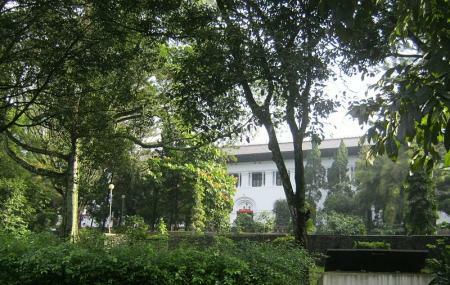 It is located near the west Java Goverment building, Gedung Sate in the middle of Bandung city. This museum has many collection from the history of post world in Indonesia. There are so many stamps collection from around the world not only from Indonesia. It is good for young generation to know this place. Free entry and nice collection of old stamps from all over the world and postal equipment used by Indonesian postal service. Just like your usual government museum. There's a lot of stamps from different countries but the collection is mostly outdated. The place itself is located in an underground basement in Gedung Sate. Try to bring friends here because it's kind of creepy if you're alone here. But sometimes there's also group of school kids going around here so yeah, don't be too worry about it. Located in dutch era building next to Gedung Sate. Good collections of postal service and stuffs, you can see first stamps from around the world and Indonesia, old postal system, postman uniforms and badges, etc. The museum area is in underground. Free entry. Parking area in weekdays usually full of offices activity.